Marks & Spencer Food Hall is set at 12-24 Eastwood Road, approximately a 0.13 mile driving distance south from the centre of Rayleigh (near to Rayleigh Town Museum and King George's Park). The store primarily serves people from the locales of Gidea Park, Higham Hill, Rayleigh Town Centre, Rochford, Snaresbrook, Thundersley and Barkingside. Its opening hours for today (Monday) are from 8:00 am - 8:00 pm. Here you'll find some important information about Marks & Spencer Rayleigh, including the operating times, address particulars or phone number. Marks & Spencer Food Hall occupies a good site near the crossroads of Websters Way and Eastwood Road, in Rayleigh, Essex. Merely a 1 minute drive time from King George's Close, Crown Hill, Finchfield and High Street; a 5 minute drive from Station Road, High Road or Rayleigh Weir of A127 / Southend Arterial Road; or a 8 minute trip from London Road or Rayleigh Road. Users of Satellite Navigation systems should use the postcode SS6 7JQ or navigate button. Within a short walk from the bus stops at Eastwood Road, Websters Way, High Street and The Library. The best routes: 3, 8, 9, 20, 25, 63, 511, 816, 825, 3A, 25A, 25B and B2. The train can be reached nearby at Rayleigh Station (2470 ft away). The most accessible line is the East Anglia. Within a couple miles you may visit Rayleigh Mount, Pelican Retail Park, The Rayleigh Primary School Academy Trust, Rayleigh Evangelical Church, Towerfields Business Park, Rayleigh Library, Salvation Army and Lynchgate Industrial Estate. The total number of Marks & Spencer stores currently open in Rayleigh, Essex is 1. Click here to see a complete listing of Marks & Spencer branches near Rayleigh. Please note, hours of opening for Marks & Spencer in Rayleigh may vary over UK legal holidays. These revisions consist of Christmas Day, Boxing Day, Easter or Spring Bank Holiday. 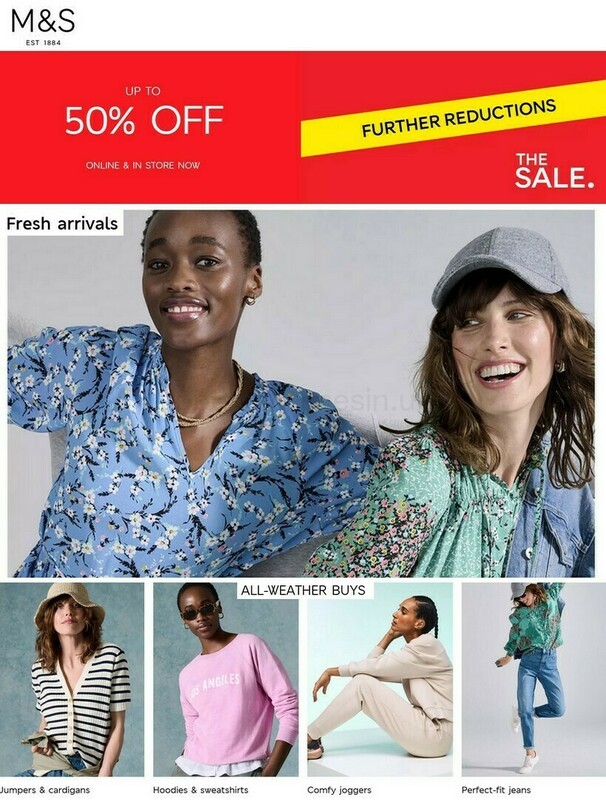 We suggest that you visit the official site or call the customer line at 0333 014 8555 to get precise info about Marks & Spencer Rayleigh holiday open hours. Help Opening Times in the UK keep the information as accurate as possible. In the event that you find mistakes in the location details or hours of business for Marks & Spencer in Rayleigh, please utilize this form to report a problem. In the box below, please state your review of Marks & Spencer, and rate its store using the star rating scale. Your critique is valued.